Automatic enrolment is a government initiative that means employers are legally required to help employees save for their retirement, even if you only employ one person. If you’re an employer, you’re legally obligated to automatically enrol your eligible employees into a qualifying pension scheme. This is now business as usual for the majority of employers, but there are some changes on the horizon. Pension contributions are set to rise from April, and for some larger businesses, re-enrolment will be introduced too. So, how will you manage the impact? 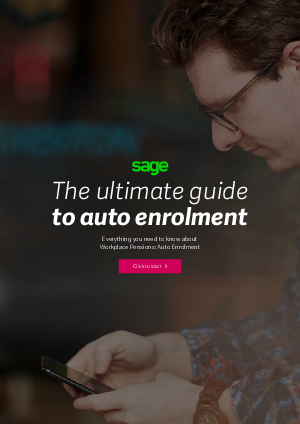 The Ultimate Guide to Auto Enrolment not only covers the basics of Auto Enrolment and the steps you need to take if this is your first time as a business, but also includes advice and guidance from industry experts on everything from re-enrolment and changing your scheme to tips on how your business can manage the impact of climbing contributions.